It's been 27 years since we said so long to the amazing Lucille Ball, but time has done nothing to dull our appreciation for the queen of comedy. 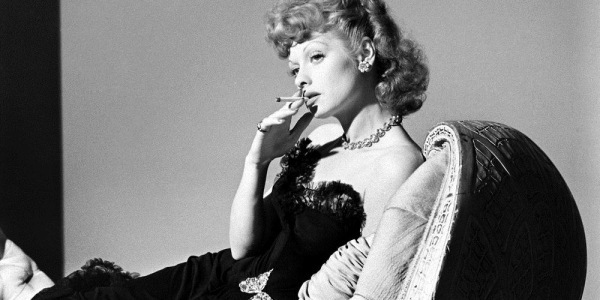 On the contrary, in a year of banner films that focus on funny women, we love Lucy — now more than ever. Oct. 15 marks 65 years since Ball debuted her wildly popular comedy series, "I Love Lucy," and that seems like the perfect occasion to celebrate her and her legacy. And what a legacy it is! When the future legend got her start in the business, there were few women who were best known for getting laughs — and even fewer who got top billing for it. In fact, Ball's screen career began in the 1930s with small parts in a wide variety of B-movie dramas. In time, she found her funny niche in film, on stage and on the radio. And by 1951, she was a talent with her name right in the title of her own successful television show: "I Love Lucy." Ball wasn't just a ground-breaker who carved out an important place for herself with her unforgettable antics onscreen. The redheaded star was a bold business woman, too, who worked for herself behind the scenes to ensure she was fairly compensated and headed up her own production company (alongside then-husband Desi Arnaz), which was a first for any woman in television. She had even more namesake series successes in the decades that followed — "The Lucy-Desi Comedy Hour" (1957 to 1960), "The Lucy Show" (1962 to 1968), "Here's Lucy" (1968 to 1974) and "Life with Lucy" (1986). LIFE.com released the best never-published photos of the legendary comedienne from the magazine's archivesin honor of her 100th birthday on Saturday, Aug. 6. While Ball's career was one of a kind, it opened doors for other actresses and opened minds about leading ladies getting big laughs. And we're still reaping the rewards of that today. In 2016, from "Ghostbusters" to "Bad Moms," funny ladies are leading the way at the box office and beyond, and standout stars, like Amy Schumer, are carrying on Ball's small-screen tradition by making a name for themselves by putting their names right in the title of their shows.